Kanryo Higaonna was born in Naha, Okinawa on 10 March 1851. At the age of 14, he began his formal training in Chinese Kempo with Seisho Arakaki, who studied the Fukien style. In 1866, he travelled to China to continue his studies. In Foochow, he was introduced to Ryu Ryuko. After following the age-old tradition of personal service, that included working in the garden cleaning and doing chores, Higoanna was accepted as a student. Training was gruelling, but he was soon known among the locals as one of Ryu Ryuko’s best students. It is rumoured that for up to six years, he only trained Sanchin kata. Only much later, he was taught the other katas – Saifa, Seiyunchin, Shisochin, Sanseru, Sepai, Kururunfa, Seisan and Suparinpei. He also studied traditional weapons and herbal medicines. After 13 years, he returned to Okinawan and began giving private lessons. In 1905, he began teaching at a public high school and was considered one of the best karateka in Okinawa. He developed the Naha-te style and based on his teachings many of his students, like Chojun Miyagi, formed their own style. He died on 23 December 1915 at the age of 63. Chojun Miyagi was born on 25 April 1888 in Naha, Okinawa to an aristocratic family. He began his formal training at age 11 in the dojo of Ryoko Aragaki. At the age of 14, he was introduced to Kanryo Higoanna, founder of Naha-te. After a period of doing chores for sensei Higoanna, he was accepted as a student. 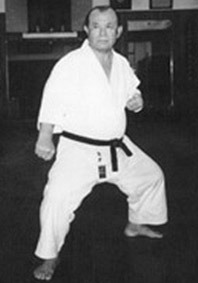 Sensei Higoanna was a demanding teacher and training included running and strength training and students often fainted during Sanchin kata (breathing kata). Miyagi trained this way for 13 years and developed into a very powerful karateka. He then travelled to China on a quest to find Master Ryu Ryuko, whom Higoanna had studied with. He could not find him, but during his travels he studied other local martial arts. In 1926, at the age of 38 he established the Karate Research Club with Chomo Hanashiro (Shuri-te), Kenwa Mabuni (Shito-Ryu) and Motobu Choyo. They spent the next three years focusing on basics, kata, fitness and philosophy. At a demonstration for the Dai Nippon Buto Kai, one of his senior students was asked which school of karate he belonged to. He was unable to answer that question and Miyagi agreed that they should name their unique style. While trying to name the style, he came across a Chinese text called the Bubishi. It included the ‘fight poems of the fist’ and the third precept read, ‘the way of inhaling and exhaling is hardness and softness. Go means hard and Ju means gentle’. Since his style was a combination of these ideals, he named his style Goju Ryu. In 1933, Goju Ryu was officially registered at the Butokukai, the Japanese Martial Arts Association. The next year, he was appointed the head of the Okinawan branch of the Butokukai Association. He was commended by the Ministry of Education for his outstanding service to physical culture. He later received the Japanese equivalent to this commendation. During the Allied occupation of Okinawa, Miyagi lost his a son and two daughters as well as a senior student. He was forced to stop his training. However, in 1946 he started his training again and was appointed as a director of the Okinawan Civil Association of Physical Education and. He opened a backyard dojo, known as the garden dojo. It was here that An’ichi Miyagi, Seiko Higa, Meitoku Yagi, Ei’ichi Miyazato, Seikichi Toguchi and Teruo Chinen trained with him. Sensei Miyagi died on 8 October 1953 at the age of 65 of either a heart attack (the most popular theory) or a cerebral haemorrhage. Following his death, four of his most senior students opened their own dojo’s. 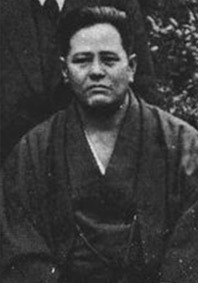 Seiko Higa was sensei Miyagi’s immediate successor, Meitoku Yagi formed the Meibukan, Seikichi Toguchi the Shorei-kan and Ei’ichi Miyazato the Jundokan. In 1963, Meitoku Yagi officially became the new head of Goju-Ryu. Gojen Yamaguchu who studied with Chojun Miyagi, promoted the style in Japan and formed the Japan Karate-Do Federation Goju-Kai. One of his students, Peter Urban, introduced the style to the United Stated in 1959. Gojen’s son, Gosei, moved to San Francisco in 1964 and established the Goju-Kai Karate-Do. Ei’ichi Miyazato was born on 5 July 1922 in Okinawa and passed away on 10 December 1999 due to ill health. Miyazato began his Karate training with his father training when he was 13 years old. He became a student of Chojun Miyagi at the age of 15. As a beginner, he practiced hojo undo (supplementary exercises) and kakie (sticking hands) and developed tremendous strength. During this time he also began studying Judo. Famous for his ashi barai (foot sweep), he eventually became All Okinawa Judo Champion. He was a seventh dan in Judo. Except for a short time during WWII, Miyazato remained with Chojun Miyagi until his death in 1953. Miyazato often assisted Chojun Miyagi teaching at the Garden Dojo and under his guidance also taught at local high schools. Following Miyagi’s death in 1953, at the request of his fellow students and Miyagi’s family, Miyazato continued teaching at the Garden Dojo (Miyagi’s dojo). He was also the instructor at the Ryukyu Police Academy where he also taught Judo. He also assumed the responsibility of preserving the Katas, principles and the future of his teacher’s Karate Do system, Goju Ryu. Miyazato Hanshi opened his own dojo in 1954 and also built the Jundokan (House for the following in the footsteps of the father) in the Asato district of Naha in 1957. This three story structure included both the Jundokan dojo and his home on the top floor. He is noted for carrying on the traditional way he had learned from Miyagi.